A late Saturday afternoon walk along the beachfront and the water looked very inviting. Unfortunately we were on our way to friends for dinner and I didn't have my costume on. I did have my camera though. 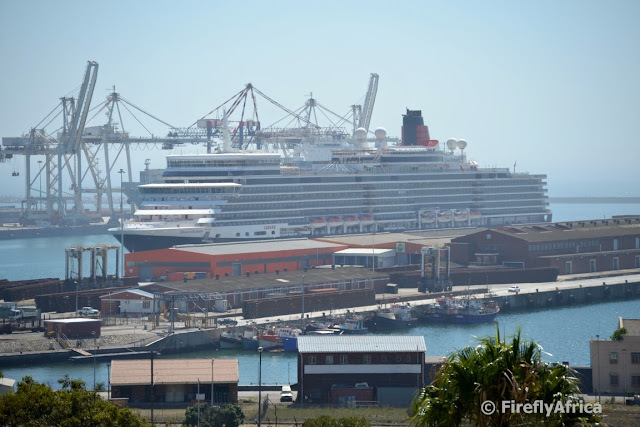 Port Elizabeth is slowly becoming a more and more popular stopover spot for cruise ships. Today the city was extremely fortunate to have the Queen Elizabeth visit for the day. The Queen Elizabeth is a Vista-class cruise ship operated by the Cunard Line. She is the second largest ship constructed for Conurd, exceeded only by its sister ship Queen Mary 2. The ship was launched in January 2010 and had her maiden voyage in October of that year. Although you could get onto the harbour and fairly close, you could not get through the last security gate allowing you to get right by her. 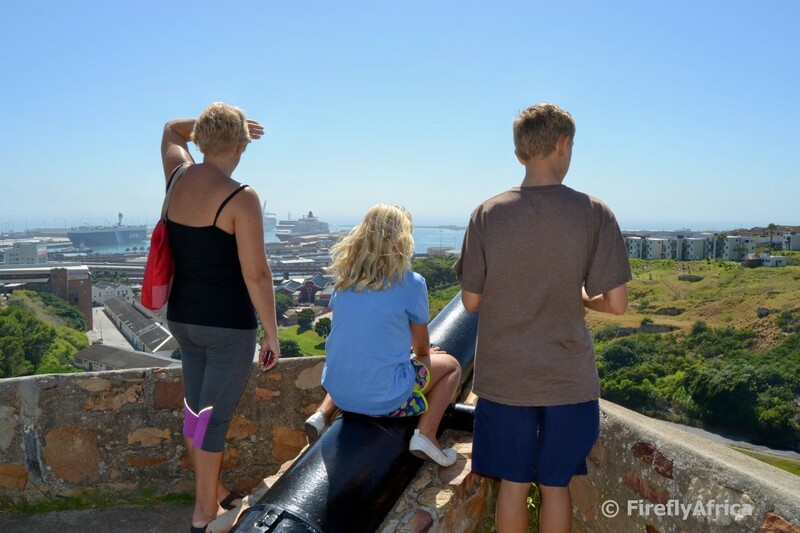 We decided to rather admire her from afar and headed up to Fort Frederick for a look before driving to South End for a slightly different angle from the old St Peter's Church ruins. For just about the last week the residents of Cape St Francis and St Francis Bay along with numerous fire fighters, helicopter pilots, volunteers and more have been fighting a huge fire that threatened their homes, properties, lives and livelihoods. This wasn't just another little bush fire but one that seriously could be referred to as a monster. There are a lot of videos and photos out there on Facebook showing how the fire has been fought on all sides. I;m posting two videos from YouTube for this week's Video Friday just to show you the magnitude of what these people faced. A huge thank you go out to everybody involved right from those on the front line to those behind the scenes who helped with bringing through things like food, water and eye drops. I was at the Westbourne Oval this morning for Drama Princess' school's athletics but couldn't help but to snap a pic of St Cuthberts Anglican Church's steeple down the road before heading inside. The Port Elizabeth beachfront isn't just utilised by bathers and swimmers. 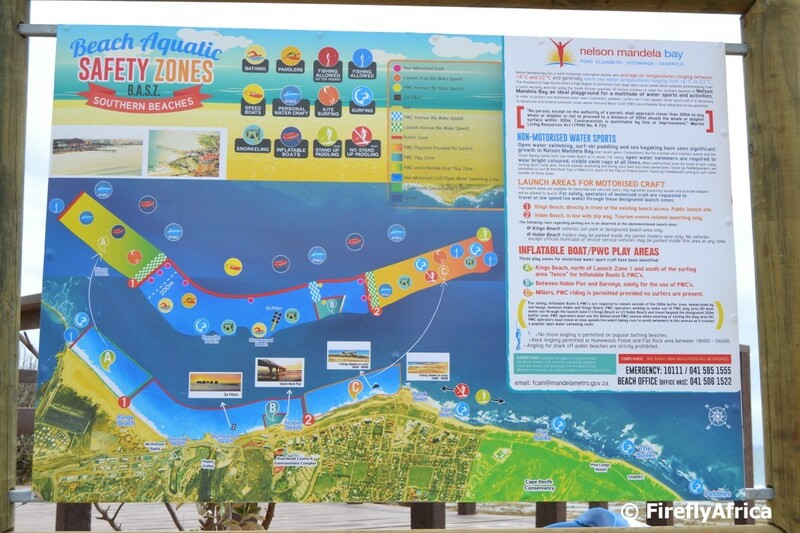 Port Elizabeth and Algoa Bay isn't called the Watersports Capital of Africa for nothing. To ensure everybody's safety the main beachfront, or Southern Beaches, have been divided into Beach Aquatic Safety Zones allowing for specific areas for bathers, paddlers, motorised water craft, surfers, kite surfers, SUP's, snorkeling, surfing, kite surfing and even fishing. Standing at Pipe on Pollok Beach on a windy day there wasn't many of people (non actually) on the beach. There were a lot of white horses coming ashore though. High tide on the beach between Hobie Beach and Pollok Beach with Bird Rock just offshore. Believe me, Bird Rock looks a lot closer at low tide. 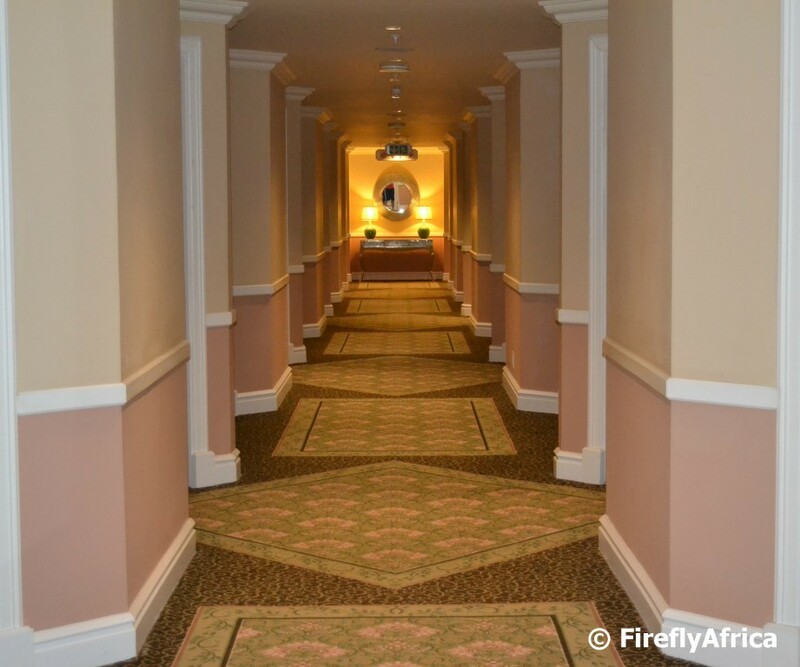 Have you ever looked down a hotel passage while on your way to your room and noticed how symmetrical it is? Well that was my thought exactly while spending a night at the magnificent Boardwalk Hotel recently. 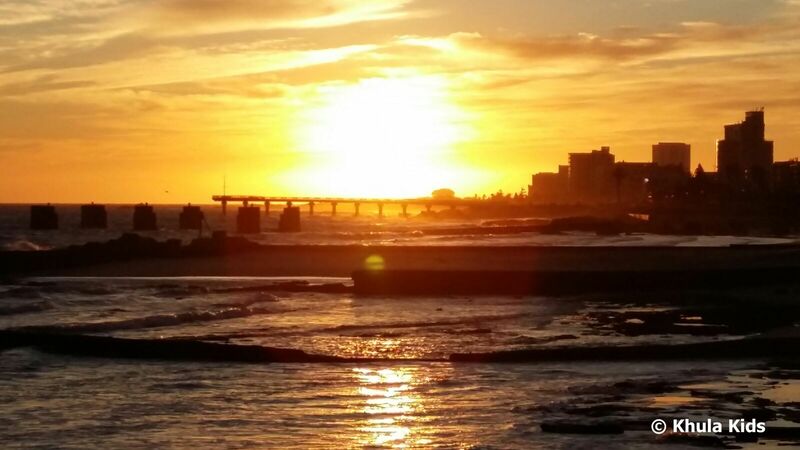 After a busy holiday season, life in Port Elizabeth has returned to normal. 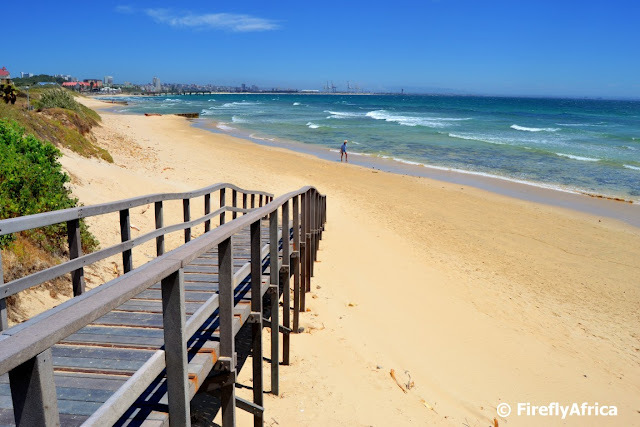 I popped out to the beach during lunchtime one day this week and just enjoyed the wonderful beach we have between Hobie and Pollok, sharing it with only one or two others. Chasing the Rainbow is a fellow travel blog based here in Port Elizabeth. The blog is done by Sarah and Ralph Dirsuwei and covers mostly family travel which means that they involve their three sons Jacob, Luke and Cian. 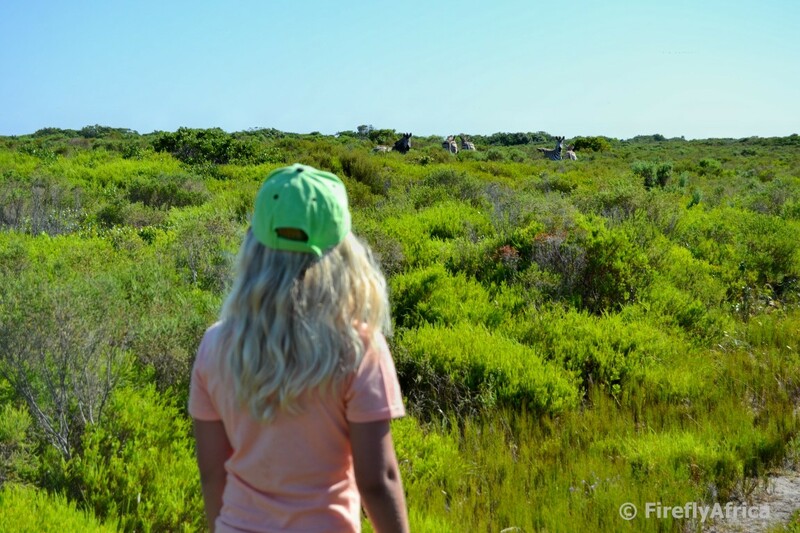 The family lives in the Sardinia Bay area within the Sardinia Bay Conservancy. For the last few months Jacob has had a bush camera set up along a fence within the conservancy which get triggered by movement. And movement there is lots of. Check this out. Would you guess that this picture was taken in the middle of Port Elizabeth? It is the area of small holdings between Charlo, Lovemore Heights and Lorraine. Literally a farm in the middle of the city. 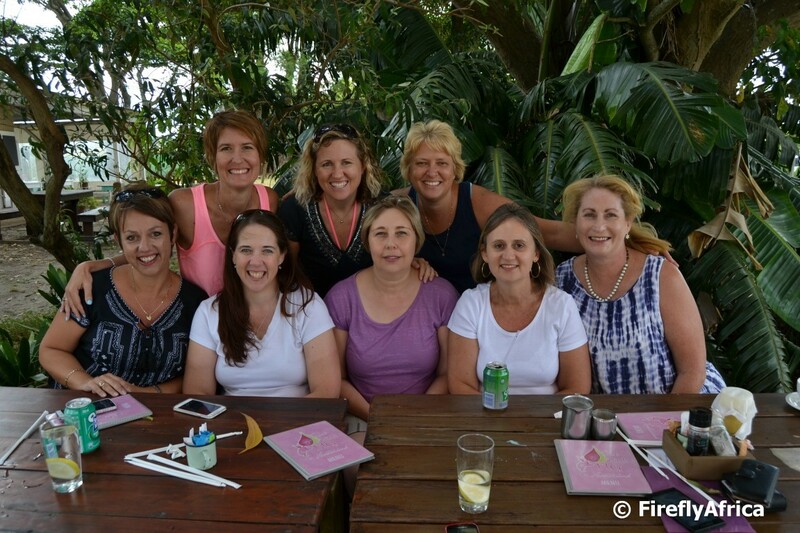 The pic was snapped from The Pink Fig coffee shop on Heatherbank Road. 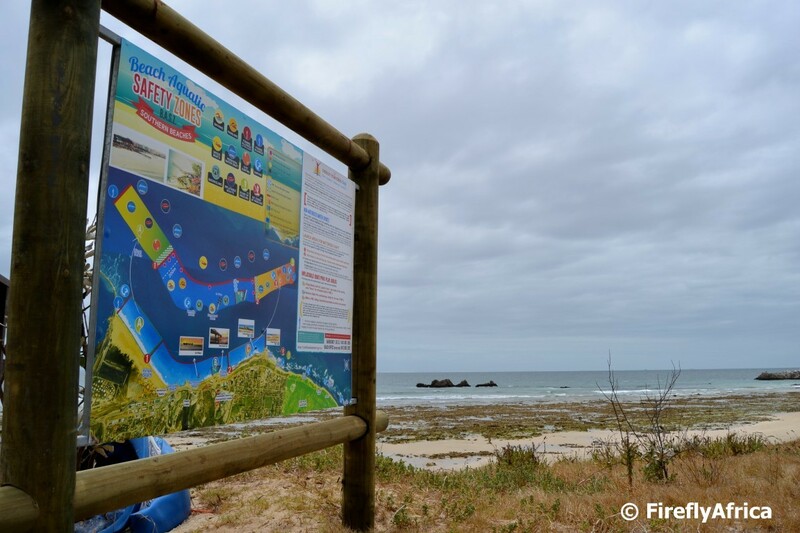 I often hear and see comments that there is nothing to see or do in and around Port Elizabeth. If that was true, would Port Elizabeth Daily Photo be passing post # 3000 today? Yes, you read correctly. 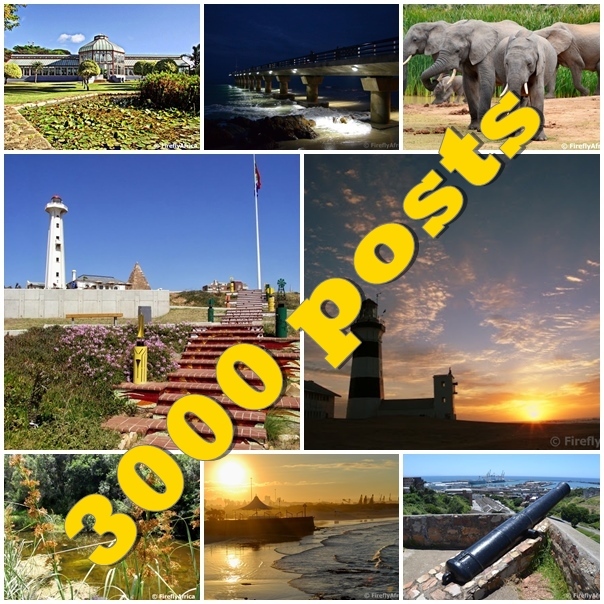 Today is PEDP's 3000th daily post. 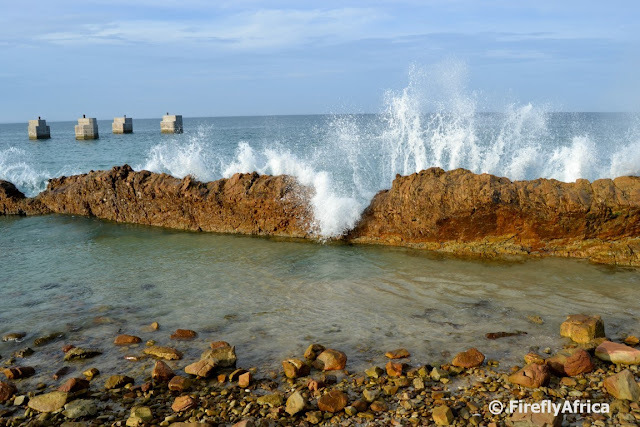 Port Elizabeth Daily Photo was started on 7 November 2007 by Sue and Max Hoppe, collectively known on the blog as SAM. 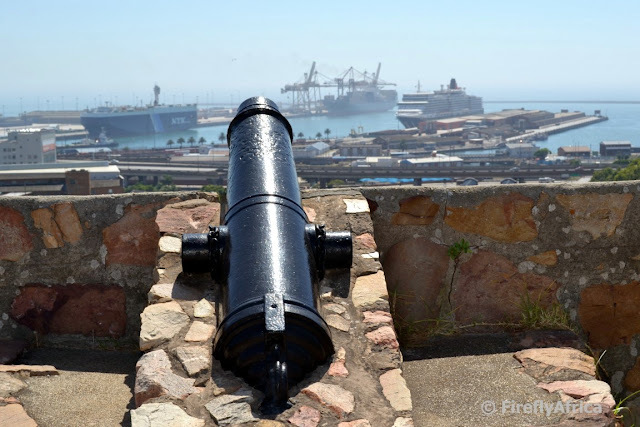 For them it was a labour of love to the city and many current and ex-Port Elizabethans started to get their daily Port Elizabeth fix through their combined camera lenses. With their 500th post approaching, Max and Sue felt that it was time to call it a day. Knowing my passion for Port Elizabeth and the fact that I was already a blogger with The Firefly Photo Files, they approached me to take over and continue PEDP rather than closing it down. I didn't even think twice and took over with post #501 on 15 March 2009. And here we are, nearly 7 years and another 2500 posts (days) later. It's not always moonshine and roses, but I will lie if I said I didn't continue to enjoy bringing Port Elizabeth to you every day. I think my biggest obstacle is time. Time to go and take photos, time to do research and time to post. But I seem to manage, surprising even myself. 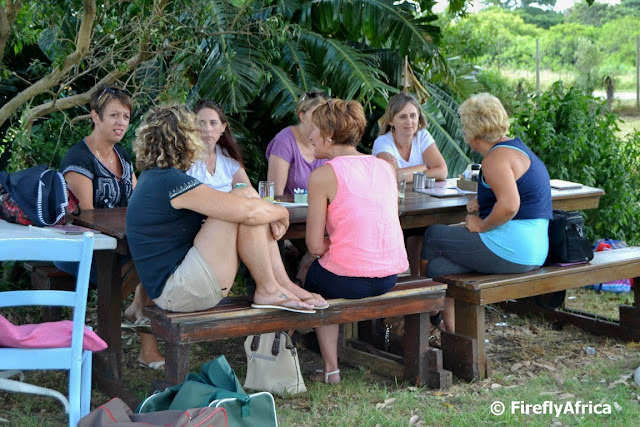 Over the last few weeks in the run-up to today I wondered what I should write in this post. All positives or get a bit of ranting in as well. Heck, I have in the past. But you know what? I'm not going to. I'm rather just going to bask in the knowledge that reaching 3000 posts is a huge accomplishment, even if I have to say so myself, and take a deep breath before starting out on the next thousand... one daily post at a time. I do want to thank each and every one of you who follow the blog either by visiting the website every day or through social media channels like Facebook and Twitter. If it wasn't for you I wouldn't be doing this. 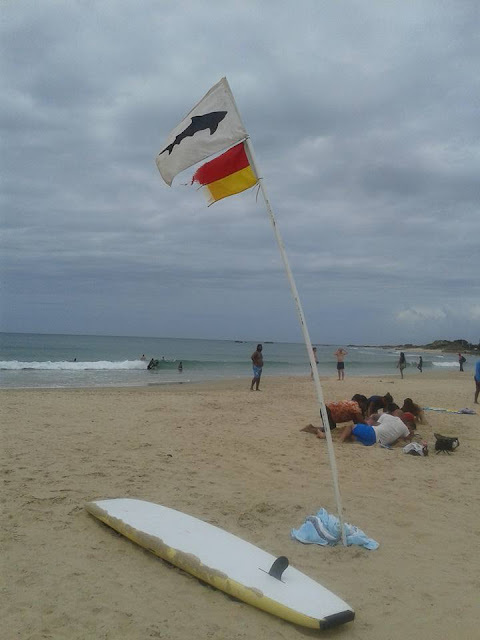 I could not believe my eyes at about lunch time today when I spotted a post of Facebook about a shark warning flag flying at Hobie Beach. I just had to go and look for myself. Jip, there it was. Fluttering on the breeze on this warm and muggy Tuesday afternoon. I snapped a pic (obviously the one in this post) with my phone and headed for the pier to see if I could spot the shark in question. I joined a growing group of people as well as two lifeguards scanning the waters around the pier. The sea was flat and calm and the visibility good so if there was anything we would see it. Suddenly a British tourist shouted and pointed down to the water. There it was (confirmed by the lifeguard that it was the same they spotted earlier). As it swum under the pier and out to sea I cocked my head, squinted my eyes, pouted my mouth and scrunched my nose. Mmmm, they're probably rather being safe than sorry because what I saw swimming down below couldn't be anywhere longer than a meter if that. Definitely not a Great White or even a Raggy. Gully or Sand Shark perhaps? Heard the lifeguard mention a bull shark. Really? I didn't want to ask him why he thought that. Shortly after somebody else spotted a hammerhead just off the end of the pier. Hammerheads are quite common in the area, people just didn't see them that often because conditions are rarely as good as today. Seen a few photos on Facebook taken this morning from the pier with hammerheads but the lifeguard was adamant that it wasn't a hammerhead they saw earlier which prompted the closure of the beach. Anyhow, I had to get back to the office. My thought was that it was probably much ado about nothing but hey, like I said, better safe than sorry. This morning when I got to work I got a message from a friend who took his mountain bike out for a change again. He wanted to show off the pic he took with his phone on the beachfront at sunrise this morning and I just had to share it with you. Perhaps I need to get my b-hind out of bed early one morning and go and take some pics like this myself. All you saw on social media, especially Facebook, on Wednesday was back to school photos. Kids off to pre-school, grade 1, grade 8 and everything in between for the first time. The Damselfly posted a back to school pic but I never did. 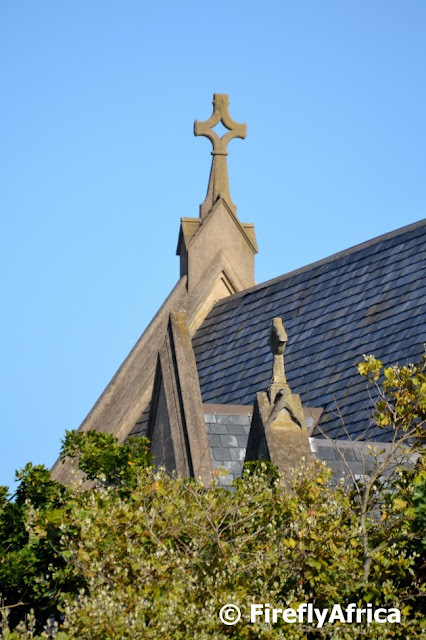 So today it is my turn with a back to school post with a bit of a difference. 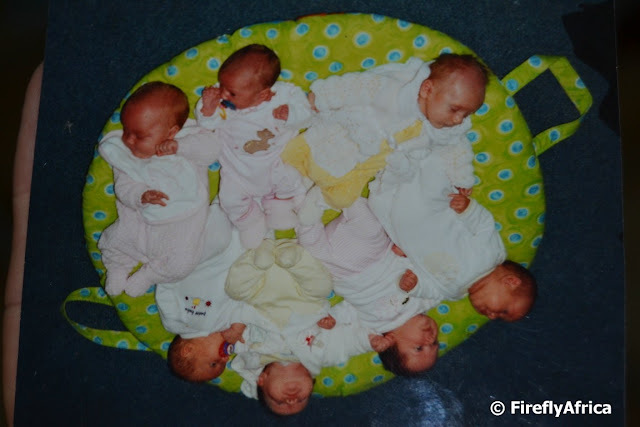 When the Damselfly was pregnant with Chaos Boy in 2002 we attended antenatal classes at the St Georges Hospital with Helen Ward. The classes covered everything from birth to handling your baby, feeding and much more. In my opinion the most important thing she told the class was that she always recommend moms in the class to form a support group, or baby club, to get together over coffee on a regular basis after the birth of the babies to be able to share with each other what works and what doesn't, Our group took it to heart but the moms didn't just meet over coffee. Over the years we also came together for birthday parties, Christmas parties and more. 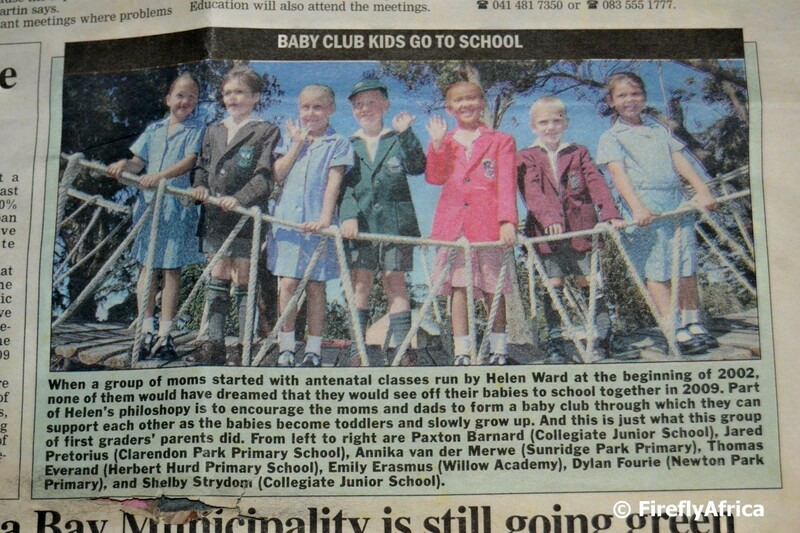 When the kids went off to primary school in 2009, most of us got together at Pink Fig for a photo which we sent off to the newspaper and was published in one of the community newspapers. When we came back from our camping holiday in December the Damselfly started getting in touch with the moms to see if she could organise a similar photo now that the kids are off to high school. One of the kids from the grade 1 photo has since moved away but the two who couldn't make it that day was available this time around which meant that we had just about everybody from the original baby club together for the first time in ages. 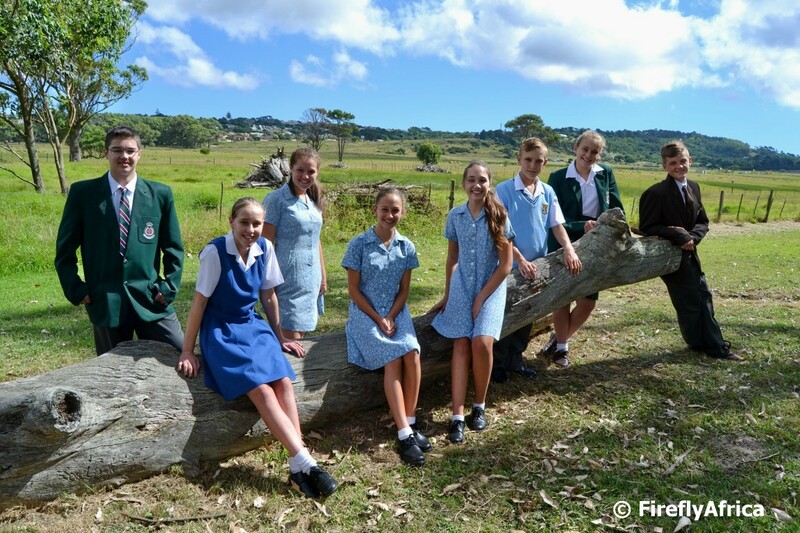 Although some of us still have regular contact it been a while since we've been together as a group, what with life getting in the way as well as the kids all having different and busy schedules at their various schools. One of the local Geocachers, Team Navimate, have been honouring Eastern Cape cachers by placing caches in their honour along the Grysbok Trail in the NMMU Nature Reserve. I first discovered the trial when I went to find a cache placed in my honour about a year ago. Just after New Year I received an email from Navimate to let me know that they are placing a cache for Drama Princess and we made arrangements for it to be published while we are in the reserve so that she can be the First to Find on it. The cache published at 8am the morning and as we received the email notification we were about meters or so away. We quickly made our way over to ground zero and I allowed her to find the cache herself. Congrats Drama Princess on receiving this cache accolade which is the PE cachers' equivalent of having a star in the Hollywood Walk of Fame. I was looking for a video for this week's Video Friday post and found this aerial drone footage of Bluewater Bay beach by Christopher Moodley of Epic Moovies on YouTube. 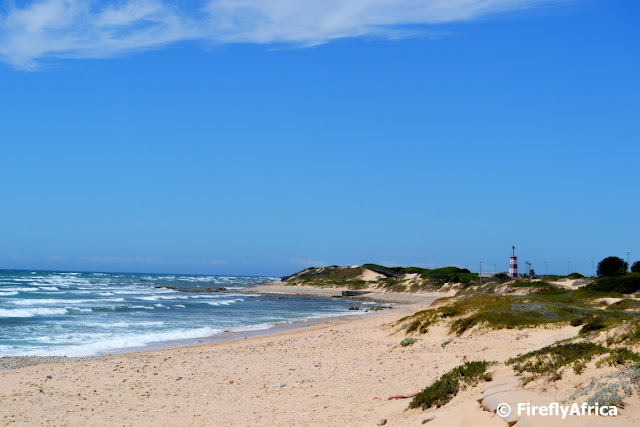 Bluewater Bay is probably Port Elizabeth's most underrated beach and this video shows how beautiful a stretch of white beach it is. UPDATE: My sincerest apologies. He seemed to have removed all the videos from his YouTube channel. One of the things Drama Princess enjoyed most about walking through the Nelson Mandela Metropolitan University Nature Reserve was the fact that we spotted a lot of zebra along the way and could get fairly close to some of them without a problem. How often does city kids get the opportunity to get things like this and it's right here on our doorstep. 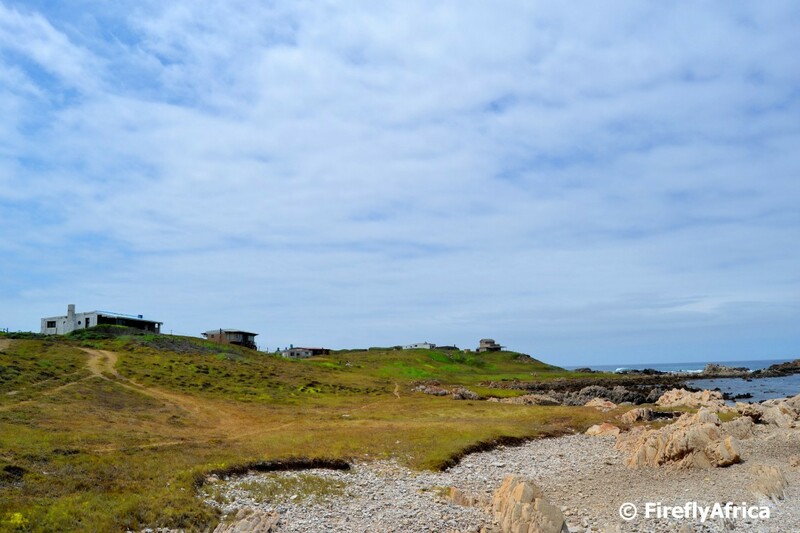 The cottages along the coast at Lauries Bay near Kini Bay. 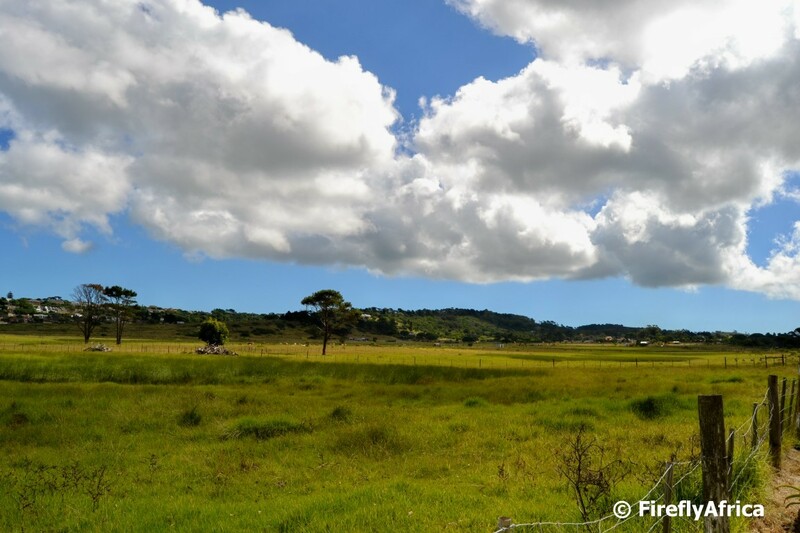 The cottages, or shacks as a lot of owners refer to them, stand on private land and if you buy one you only have limited rights and not ownership of the land on which your cottage stands. The cottages are mostly self sufficient as there are no water or electricity supply to the area. 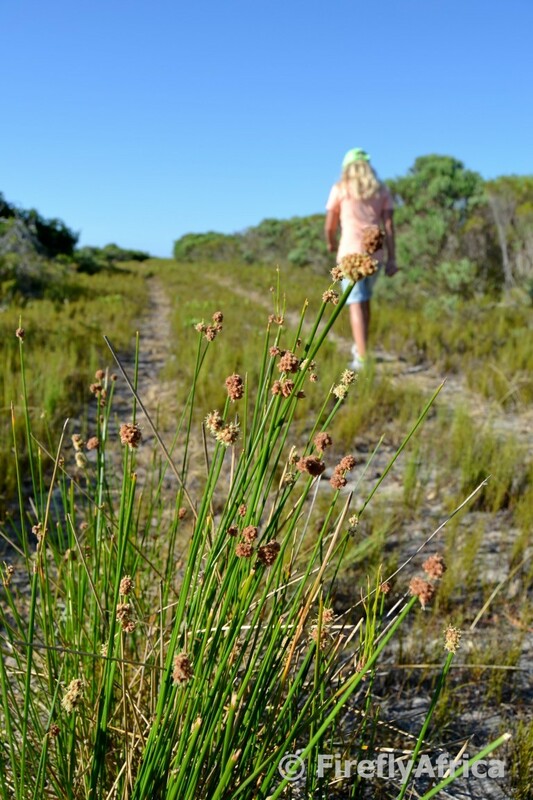 Did you know there is a nature reserve and hiking trail at NMMU? 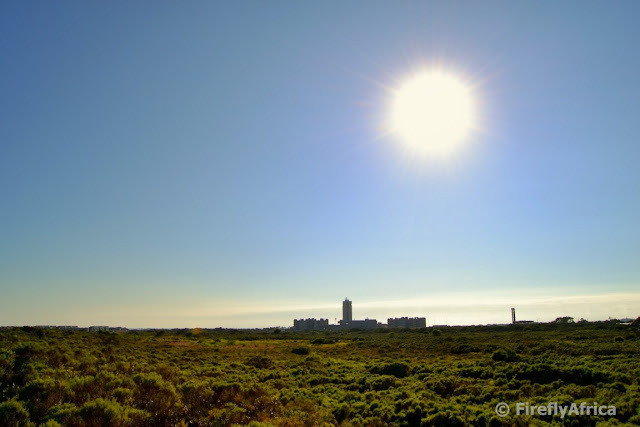 I went for an early morning walk along the Grysbok Trail in the NMMU Nature Reserve with Drama Princess last weekend and this was the view back towards the campus and university buildings from the reserve. The university campus was declared a private nature reserve in 1983. 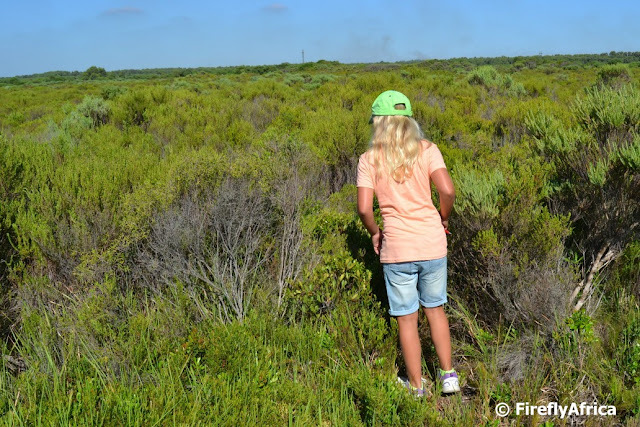 The reserve covers 830 ha and is dominated by the St Francis Dune Thicket vegetation characterised by clumps of thicket occurring within a matrix of Dune Fynbos. 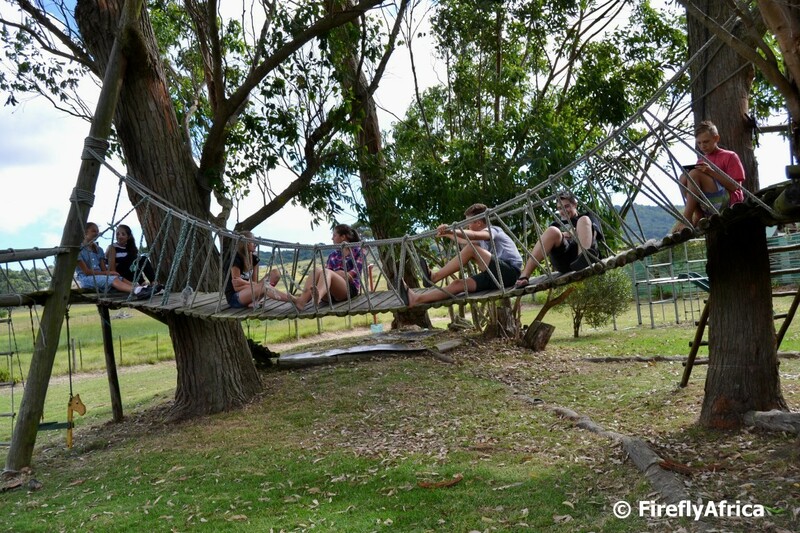 The Grysbok Trail itself was established in 1995 and is intended to be an environmental education and recreation resource for the University as well as the broader general community. The trail offers various distance options ranging from a short 2,5 km loop to longer loops and covers a relatively flat terrain. The public is welcome to walk the trail privately as long as they sign the Visitors' Book. To get to the trail is very easy. Drive into the main campus through the booms and keep straight past the main buildings. The road curves to the right if you keep going will end in the parking area where the trail starts. Best of all, if you are a Geocacher you will find nearly 30 caches on the trail. Now that is a bit of a bonus and the reason I discovered the trail. Every Sunday afternoon just after 12 I head over to the Luister FM studio in Newton Park for the weekly Padlangs insert on the Skop uit jou skoene program with Sarel Botha and Marius Erasmus. 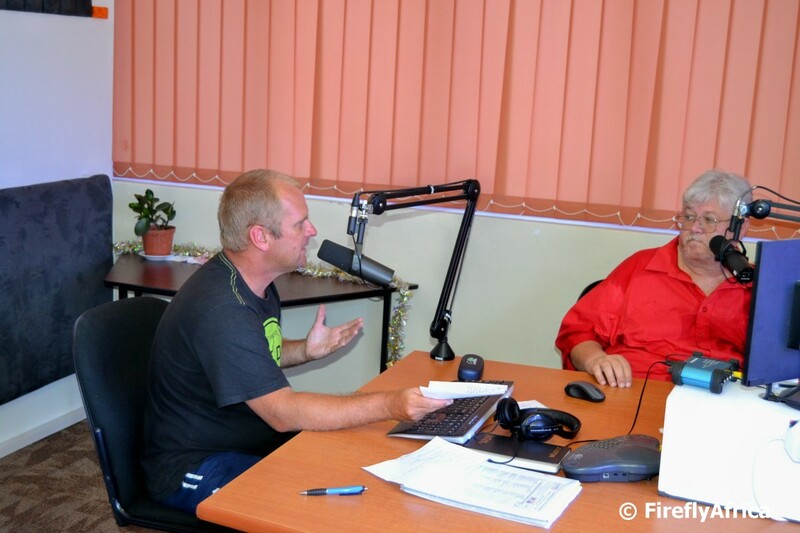 Luister FM 90.5 is an Afrikaans community radio station that started a few months ago and has shown some serious growth in listenership among the Afrikaans community in and around Port Elizabeth. 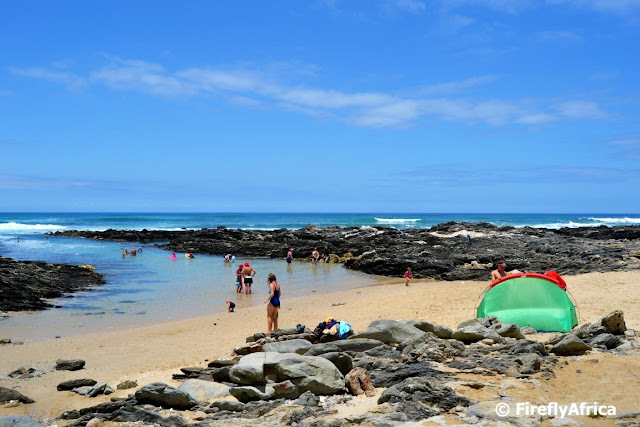 Padlangs is a 15 minute travel slot where I cover everything from tourism info, travel destinations, things to do with the family and events with (just about) weekly competition give-aways. I really enjoy radio and wish I had more time to get involved in a program on a more regular basis, but for the time being I love my weekly slot. One of the things I enjoy most about Geocaching is the fact that it takes you to interesting and beautiful places. 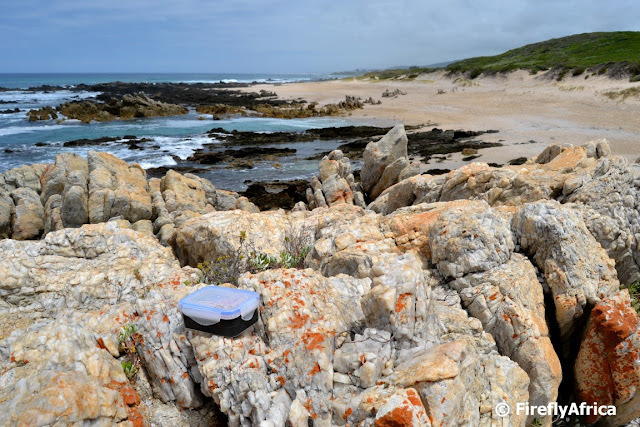 A good example is a cache I placed at Shelly Beach at Lauries Bay about 2 km along the beach from Kini Bay. I took a walk down the coast from Kini Bay on New Year's Day to do some maintenance on the cache and took my camera with. This is the view from close to the cache location looking west along the coast back towards Kini Bay with the cache container sitting on the rocks before I returned it to it's hiding place. 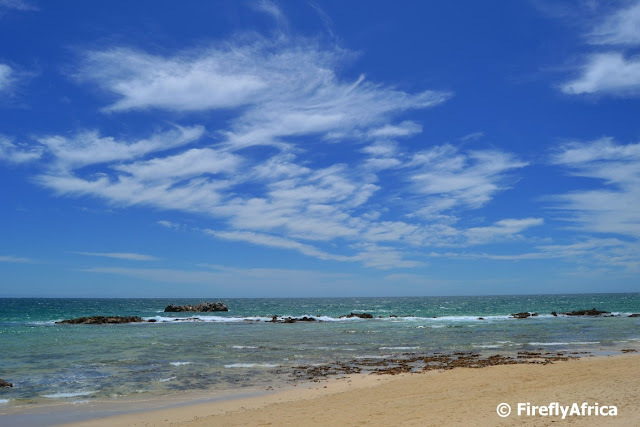 Port Elizabeth offers excellent diving options both inside Algoa Bay as well as on the Wildside. Although I haven't gone scuba diving for years, I really enjoyed it when I did. When I first did a sea dive I really worried about encountering a shark. But that was until I actually encountered one. We were on one of the training dives inside Algoa Bay off Cape Recife somewhere when I spotted something biggish in the gully below us. The dive master took us closer and it turned out to be a juvenile ragged tooth shark. Rather than being afraid I wanted to get closer. Wow, what an amazing experience. For today's Video Friday post I sharing a video by Pro Dive showing diving with Raggies in Algoa Bay. 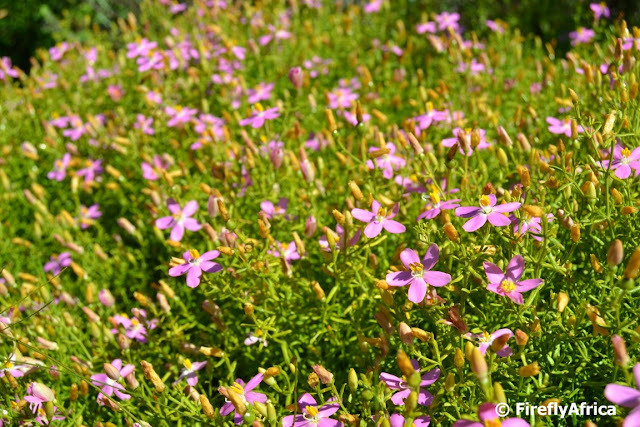 Some of the wild flowers Drama Princess and I encountered on the Grysbos Trail through the Nelson Mandela Metropolitan University Nature Reserve this past weekend. New Year's Day is known as the one day in the year when people flock to the beaches in their hundreds thousands millions to wash off the dust from the past year and celebrate the arrival of the new one. A few years ago we discovered that the gully in Kini Bay gets bypassed by most and it has now become a tradition for us to go and spend our day swimming and snorkeling here. 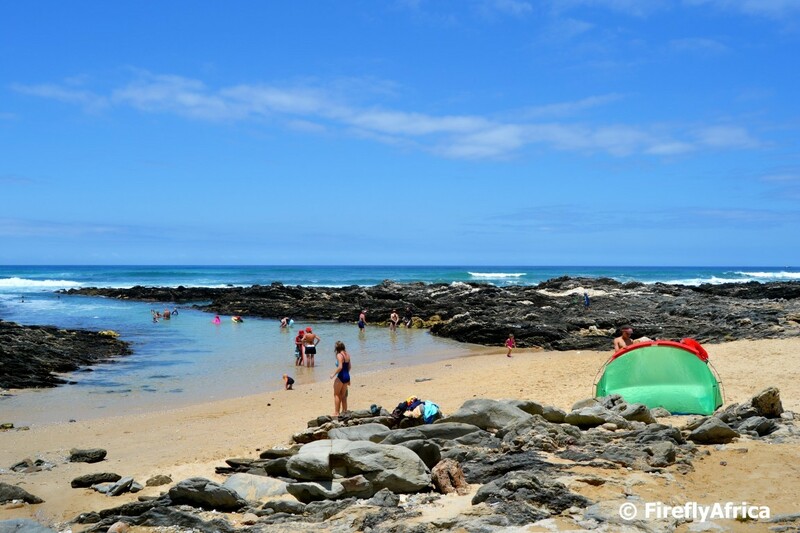 This year was no different and we spent a glorious sunny day topping up on our tans sunburn. It's summer and we have been having some pretty summery weather these last few weeks. 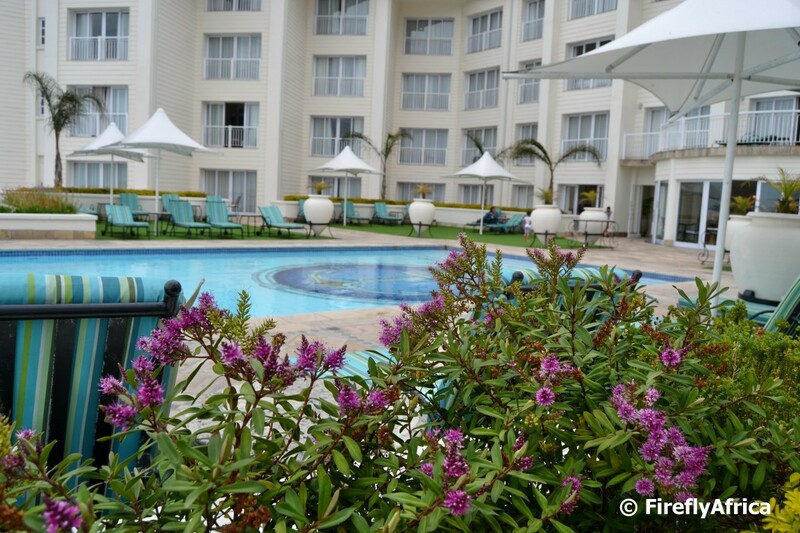 The pool at the Boardwalk Hotel looks very inviting right now. 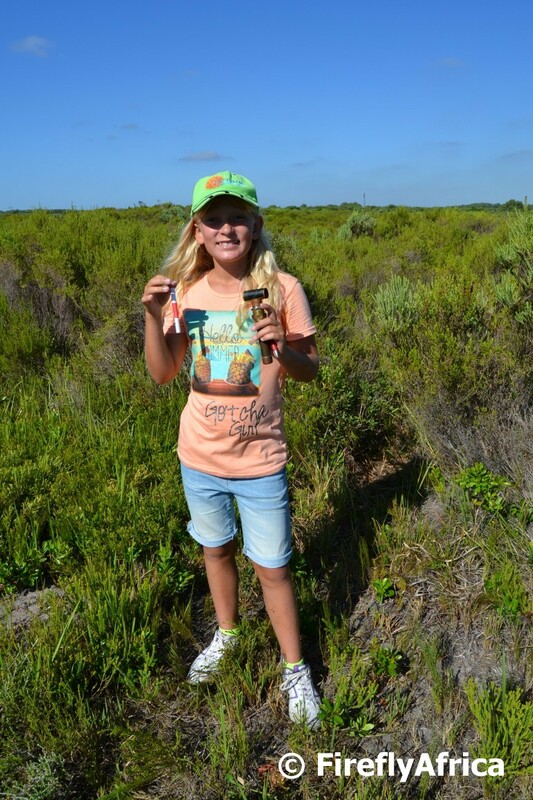 The Port Elizabeth Geocachers have a WhatsApp group where we chat about caching as well as anything and everything else. One day George C12 mentioned a bakery and posted a picture of some yummy goodies he bought. A few days later he did it again and people got curious. Where was this place George C12 seem to be buying shares in? He gave the location and slowly, one by one, the cachers started visiting it. Every time somebody did they posted about it and with every post somebody else got curious and went as well. I'm sure every time George C12 visits he gets a royal welcome as word of mouth among the cachers have definitely increased their turnover drastically. So where is this little bakery and what is it called? 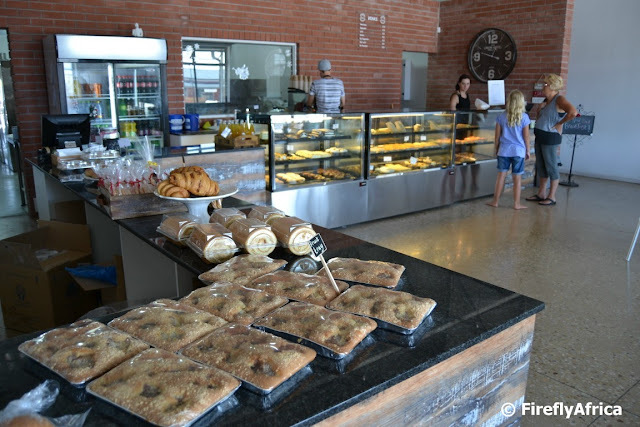 It's called Just Knead More and it is located in the new Willow Road Shopping Centre on the corner of Circular Drive and Willow Road in Lorraine. A Geocacher looks at each and every thing they pass along the way as a potential hiding place for a cache (as long as it isn't closer than 161 meters from the next cache). 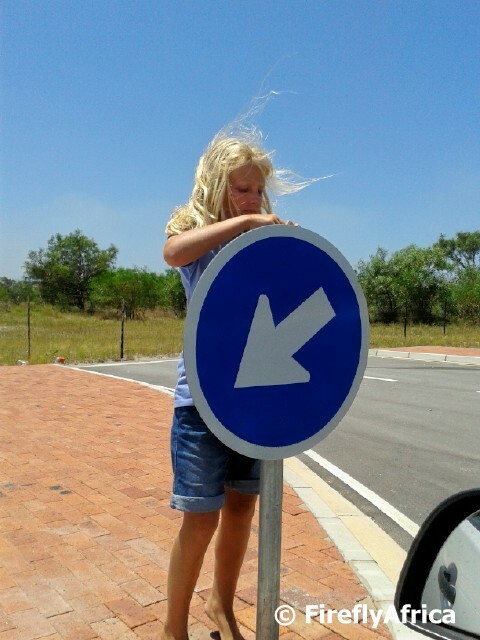 Road signs are no different and this week I went Geocaching with Drama Princess and this was exactly where she found one of the caches we went hunting for. We kick off 2016 with the first Video Friday post of the year and I chose one showing the Boardwalk Fountain Spectacular in it's full glory. I couldn't find a video on YouTube showing last night's fireworks on the beachfront, but the fountains are just as good if not better. The video is by LimeWave.